Never fear, Section 20 is still here. 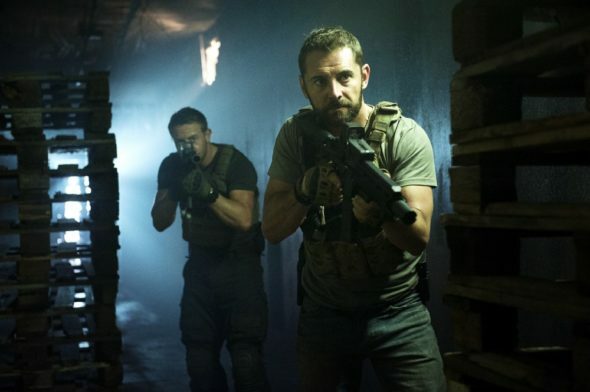 The Strike Back TV show has been renewed for a seventh season. Cinemax refers to this as a season six renewal, because the subscription cable network picked up the British-American TV series, starting with season two in 2011. In 2013, they then went back and aired the first season of six episodes as a special mini-series called Origins. A Cinemax action-adventure spy drama, in its sixth season Strike Back stars Warren Brown, Daniel MacPherson, Roxanne McKee, Alin Sumarwata, Nina Sosanya, Katherine Kelly, and Trevor Eve. Although once disbanded, Section 20 is now restored to track down a dangerous terrorist who has escaped from prison. As the team travels through Europe and the Middle East, they discover a lethal conspiracy which endangers them all and could change everything. The sixth season of Strike Back is averaging a 0.02 rating in the 18-49 demographic and 122,000 viewers. Compared to season five, that’s down by 76% and 49%, respectively. While those ratings are low enough that a cancellation wouldn’t have been a surprise, the show is a co-production with UK’s Sky One, which likely helped save it. Learn how Strike Back stacks up against the other Cinemax TV shows. Learn more about the Strike Back renewal, from this Cinemax press release. CINEMAX has renewed the action series STRIKE BACK for a sixth season, it was announced today by Kary Antholis, president, HBO Mini-series and CINEMAX Programming. Currently debuting episodes Friday nights (10:00–11:00 p.m. ET/PT), with the fifth-season finale scheduled for April 6, the show follows the explosive escapades of Section 20, an elite, multinational, covert special ops team, as it spans the globe fighting a vast web of interconnected criminal and terrorist activity. What do you think? Are you a fan of the Strike Back TV series. Do you plan to watch the next season on Cinemax? Sound off, in the comments. I am looking forward to the upcoming new season ; let the shooting begin! Best action show on TV. Watched every episode at least 3 times. liked the first 4 seasons better than season 5 but I still liked the new actors. At the beginning of the season I was skeptical with the new cast. However, they have grown to fill in the shoes of the original cast. Great show, looking forward to their return in season seven. ABSOLUTELY Going to WATCH Season 6!!! SB Fans are out here just Adjusting to new Section 20 Team. Also it’s Genius/Brilliant that you’ll be having Sully & STONEBRIDGE “making appearances ” . Good Move!! !